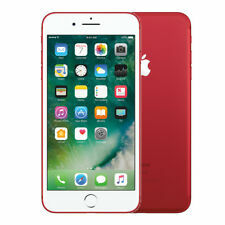 Apple iPhone 7P 128GB (PRODUCT)RED Unlocked Cell Phone. GSM Unlocked. 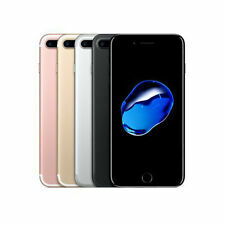 Apple iPhone 7P 128GB Unlocked. Capacity: 128GB. Phones by Carrier. Model : Apple iPhone 7P. Processor: Apple A10. This phone isunlocked. 12 MONTH WARRANTY - FREE SHIPPING - TOP US SELLER! Trending at $374.99eBay determines this price through a machine learned model of the product's sale prices within the last 90 days. 30-Day Warranty - Free Charger & Cable - Easy Returns! Trending at $314.99eBay determines this price through a machine learned model of the product's sale prices within the last 90 days. 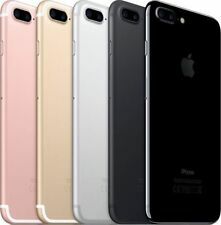 Apple iPhone 7 Plus - 256 GB - Black - (Unlocked) -A1784 GSM -Smartphone. Apple iPhone 7 Plus - 256 GB - Black (Unlocked). - Headphone jack: Good. Except Touch ID Not Functional. - Power button: Good. Trending at $375.06eBay determines this price through a machine learned model of the product's sale prices within the last 90 days. Apple iPhone 7 Plus - 128GB - Gold (Unlocked) A1784 (GSM). Condition is Used. Shipped with USPS Priority Mail. Used in good condition has normal wear scratches and scuffs comes with new original charger. Trending at $369.99eBay determines this price through a machine learned model of the product's sale prices within the last 90 days.